Hoshizaki’s corporate mission is to achieve and maintain optimum customer satisfaction, by consistently providing the highest level of quality in the products and services delivered to all customers throughout the western hemisphere; to perpetuate a healthy, viable organization; and to deserve the reputation as an innovative leader from a technological and people standpoint in the commercial kitchen equipment industry. Hoshizaki KM-115BAJ 23 3/4" Air Cooled Undercounter Crescent Cube Ice Machine - 116 lb. Hoshizaki KM-61BAH 17 3/4" Air Cooled Undercounter Crescent Cube Ice Machine - 71 lb. 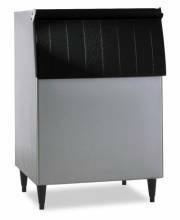 Hoshizaki KM-230BAJ 24" Air Cooled Modular Crescent Cube Ice Machine with Bin - 230 lb. Hoshizaki KM-300BAJ 30" Air Cooled Modular Crescent Cube Ice Machine with Bin - 295 lb. Hoshizaki KM-300BWJ 30" Water Cooled Undercounter Crescent Cube Ice Machine - 295 lb. Hoshizaki KM-151BWH 23 3/4" Water Cooled Undercounter Crescent Cube Ice Machine - 146 lb. 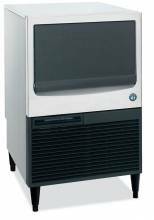 Hoshizaki KML-325MAJ 30" Low Profile Air Cooled Ice Machine - 380 lb.